MM: What’s the story behind your work? How did you get into album and poster design? JH: I started playing in bands around 15 years old. Then when I graduated high school I studied graphic design at College. It was only natural that I’d start designing albums for my bands, and eventually my friends bands, and then on from there. Posters are something I’ve been designing for a long time as well, but only started screen-printing a couple years ago when a fellow designer set up a screen-printing studio. MM: Do you find your experience as a musician helpful when it comes to designing for other musicians? JH: Definitely. I think I approach album design differently than a lot of people in that I get the perspective of the musician. There’s a major struggle that goes on for a band when working on album art. They have their own ideas, the graphic artist in many cases tries to take over and inflect their own style and ideas, and then the record label is also trying to push the artwork to their needs. I think playing in bands as long as I have has given me the ability to stand up when I know an idea is right, but step aside when I know there is a bigger plan to this album and I shouldn’t force my design if it stands in the way of the direction. Sometimes bands have an idea in mind when they contact me, and I’ll do everything in my power to help them realize it. MM: What types of things influence your album designs the most? JH: The music and the artist (musician/band) influence my designs the most. I try to come up with a design that represents the band and the album, more so than myself. I’m not trying to develop a style so when someone sees an album they know it was designed by me. I just want to create covers that the band are proud of and feel perfectly represent the music they spent so long crafting and recording. I take my own personal influences from everywhere – but try as much as possible to NOT take my influences from other album designs, and I try desperately to never create a design that falls in to any current trends. I want them all to be as relevant 10 and 20 years from now as they are the day they come out. MM: What makes a great album cover? JH: So many variables – no one thing. There is a lot of amazing art being made out there, and a lot of crap. I hope my designs lean more to one side than the other. MM: What are some of the most common mistakes, or things bands should avoid when it comes to album art? JH: I think a lot of bands have to cut corners on printing/manufacturing due to budget restraints, and I always recommend against that. You want fans and industry folks to take you seriously, so don’t put out a cheap looking product. Don’t press the cheapest bargain vinyl, it doesn’t sound very good. Folks do judge books by the cover, especially when you’re starting out, so do a good job and give them something that impresses. Pull out your favourite band’s latest album, and make yours better than theirs. MM: Any current design trends that you love/hate? JH: I’ve been loving black and white lately. The new SBTRKT album is really cool, as is Crystal Castles‘ iii. 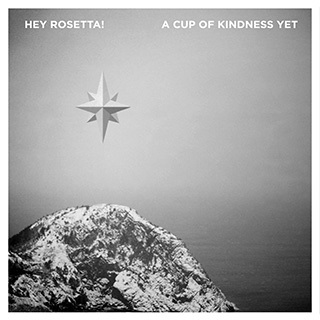 I had the chance to experiment a bit with it recently with new albums for Hey Rosetta and The Heavy Meadows. 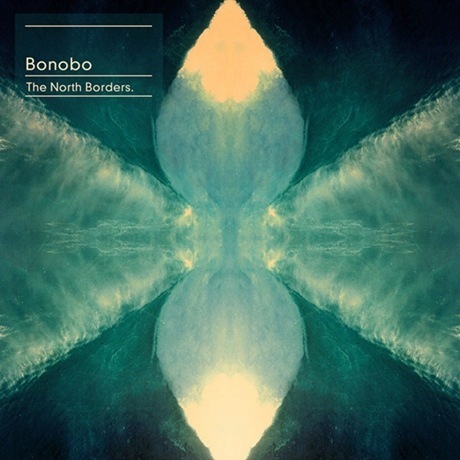 My favourite new album design is Bonobo‘s The North Borders. The colours are just amazing, simple design, yet so beautiful. The Father John Misty album is worth buying on vinyl just for the artwork alone. Wolfe Parade‘s EXPO has the coolest photo/font combination, and the entire series Bon Iver used on his last album and subsequent singles were all very beautiful. MM: Do you approach poster designs differently than album covers? JH: Definitely. Poster designs usually are silk screened, so I have to think in terms of only 3-4 colours. I also know when designing a poster that there is a good chance the band are going to want to sell it as a merch item, so it needs to not only advertise the band, but also be a piece of art that someone is going to want to hang on their wall. MM: Has the role of the internet and social media changed the way you approach album covers or posters? JH: Sometimes, but not always. It is always in the back of my mind that the albums I design should look good when they are small in iTunes, or as someone’s avatar in Facebook or Twitter. But while it crosses my mind, I don’t usually let it sway how I design an album. Most of the bands I work with press vinyl (as well as CDs/digital of course), and that is the format I pour all my love into. I want the vinyl collectors to take home their new album and remark at how beautiful it is; the feel of the paper; the choice in colours and inserts. I don’t feel like folks that buy their music on iTunes pay nearly as much attention to album art, so I don’t lose too much sleep trying to keep them impressed. MM: What types of things should an artist look for when hiring an album or poster designer? JH: That’s a hard one. I’d like to just say “me”. haha… But realistically check out their portfolio. Every album designer has a website with their work on it. Check out the sites and decide for yourself. Then contact them and see what you think. Understand that budget shouldn’t be the deciding factor in your choice. Just like producers and mastering engineers, the rates that graphic designers charge are all over the map, but you should get the right person for the job no matter what they charge. This is an album you’re going to have for the rest of your life, you’re proud of the songs you wrote and recorded, make it look as good as it sounds. MM: Do you have a project that you’re most proud of? JH: I am particularly proud of the three years worth of Wolfe Island Music Festival posters. Arts & Crafts just hired me to make the posters for their 10th Anniversary Celebration Field Trip Festival happening this June in Toronto that was a massive honour to be invited to design! I’ve also designed a ton of things for Bahamas and Kathleen Edwards, both of which are really great people. The Polaris Music Prize invited me to design the poster for Cold Specks short list nomination last year. I’m also launching a website for Buck 65 very soon that was built with fellow designer Mark Bennett. But, if I had to choose a couple projects that I’m the most proud of, it would have to be Sarah Harmer’s latest album Oh Little Fire, and Great Big Sea‘s box set that came out a couple months ago. Sarah Harmer is one of my favourite singer-songwriters ever, and I credit her with starting the wave of me getting to work with bigger bands – she was the first, outside of Atlantic Canada to give me a shot and I feel like I owe her a huge tip of the hat in thanks. Great Big Sea’s 20th Anniversary box set was the first box set I had the chance on working on. I have to say working on a box set is probably the most fun I’ve had as a designer. Then when its printed, and you open up your box set and start looking at the pages and pages of your work (multiple CDs, books, posters, stickers, patches, and everything else that goes in there), its very rewarding. If anyone reading this is thinking of making a box set, please drop me a line. I can’t wait to work on another one. Head over to Jud Haynes’ website to check out more of his incredible work and take a studio tour! The poster design and album artwork look really impressive And Jud Haynes answer’s about hiring an album designers are worth taking advice of.